This is an informed-consent document which has been prepared to help your plastic surgeon inform you concerning Juvederm®-based (Non-Animal Stabilized) tissue filler injection therapy, its risks, and alternative treatments. ___Juvederm® – Juvederm JUVÉDERM™ Ultra /Ultra Plus injectable gel is a colorless Juvederm® gel that is injected into facial tissue to smooth wrinkles and folds, especially around the nose and mouth. Juvederm® is a naturally occurring sugar found in the human body. The role of Juvederm® in the skin is to deliver nutrients, hydrate the skin by holding in water, and to act as a cushioning agent. It is important that you read this information carefully and completely. Please initial each page, indicating that you have read the page and sign the consent for this procedure as proposed by your plastic surgeon and agreed upon by you. 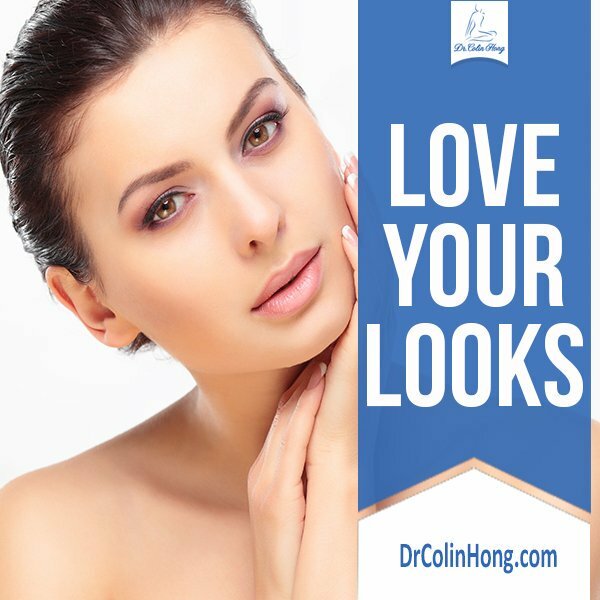 The injection will utilize a stabilized Hyaluronic Acid filler used to smooth moderate to severe facial wrinkles and folds around the nose and mouth or shape facial contours. Juvederm® has been FDA approved for the cosmetic treatment of moderate to severe facial wrinkles and soft tissue depressions. Semi-permanent filler injections are customized for every patient, depending on his or her particular needs. These can be performed in areas involving the face and eyelid region, forehead, and lips. Fillers cannot stop the process of aging. They can however, temporarily diminish the look of wrinkles and soft tissue depressions. Filler injections may be performed as a singular procedure, in combination with other treatments such as BOTOX®, or as an adjunct to a surgical procedure. Filler injections require regional nerve blocks or local anesthetic injections to diminish discomfort. Soft tissue fillers produce temporary swelling, redness, and needle marks, which resolve after a few days time. Continuing treatments are necessary in order to maintain the effect of fillers over time. Once injected, fillers will be slowly absorbed by the body. The length of effect for injections is variable. Every procedure involves a certain amount of risk and it is important that you understand these risks and the possible complications associated with them. In addition, every procedure has limitations. An individual’s choice to undergo this procedure is based on the comparison of the risk to potential benefit. Although the majority of patients do not experience the following, you should discuss each of them with your physician to make sure you understand the risks, potential complications, limitations, and consequences of Juvederm® Filler injections. Additional information concerning Juvederm may be obtained from the package-insert sheets supplied by Allergan Aesthetics. Bleeding and Bruising: It is possible, though unusual, to have a bleeding episode from a filler injection or local anesthesia used during the procedure. Bruising in soft tissues may occur. Should you develop post-injection bleeding, it may require emergency treatment or surgery. Aspirin, anti-inflammatory medications, platelet inhibitors, anticoagulants, Vitamin E, ginkgo biloba and other “herbs / homeopathic remedies” may contribute to a greater risk of a bleeding problem. Do not take any of these for seven days before or after filler injections. Swelling: Swelling (edema) is a normal occurrence following the injections. It decreases after a few days. If swelling is slow to resolve, medical treatment may be necessary. Pain: Discomfort associated with injections is normal and usually of short duration. Needle Marks: Visible needle marks from the injections occur normally and resolve in a few days. Acne-Like Skin Eruptions: Acneiform skin eruptions can occur following the injection of tissue fillers. This generally resolves within a few days. Skin Sensitivity: Skin rash, itching, tenderness and swelling may occur following injections. After treatment, you should minimize exposure of the treated area to excessive sun or UV lamp exposure and extreme cold weather until any initial swelling or redness has gone away. 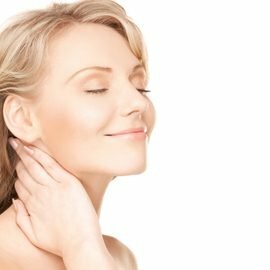 If you are considering laser treatment, chemical skin peeling or any other procedure based on a skin response after filler treatment, or you have recently had such treatments and the skin has not healed completely, there is a possible risk of an inflammatory reaction at the implant site. Erythema (Skin Redness): Erythema in the skin occurs after injections. It can be present for a few days after the procedure. Infection: Although infection following injection of tissue fillers is unusual, bacterial, fungal, and viral infections can occur. Herpes simplex virus infections around the mouth can occur following a tissue filler treatment. This applies to both individuals with a past history of Herpes simplex virus infections and individuals with no known history of Herpes simplex virus infections in the mouth area. Specific medications must be prescribed and taken both prior to and following the treatment procedure in order to suppress an infection from this virus. Should any type of skin infection occur, additional treatment including antibiotics may be necessary. Under / Over Correction: The injection of soft tissue fillers to correct wrinkles and soft tissue contour deficiencies may not achieve the desired outcome. The amount of correction may be inadequate or excessive. It may not be possible to control the process of injection of tissue fillers due to factors attributable to each patient’s situation. If under correction occurs, you may be advised to consider additional injections of tissue filler materials. Asymmetry: The human face is normally asymmetrical in its appearance and anatomy. It may not be possible to achieve or maintain exact symmetry with tissue filer injections. There can be a variation from one side to the other in terms of the response to injection. This may require additional injections. Damage to Deeper Structures: Deeper structures such as nerves and blood vessels may be damaged during the course of injection. Injury to deeper structures may be temporary or permanent. Skin Lumpiness: Lumpiness can occur following the injection of fillers. This tends to smooth out over time. In some situations, it may be possible to feel the injected tissue filler material for long periods of time. Visible Tissue Filler Material: It may be possible to see any type of tissue filler material that was injected in areas where the skin is thin. Granulomas: Painful masses in the skin and deeper tissues after a filler injection are extremely rare. Should these occur, additional treatments including surgery may be necessary. Fillers should not be used in areas with active inflammation or infections (e.g., cysts, pimples, rashes or hives). Migration of Filler: The filler substance may migrate from its original injection site and produce visible fullness in adjacent tissue or other unintended effects. Skin Necrosis: It is very unusual to experience death of skin and deeper soft tissues after injections. Skin necrosis can produce unacceptable scarring. Should this complication occur, additional treatments, or surgery may be necessary. Allergic Reactions and Hypersensitivity: As with all biologic products, allergic and systemic anaphylactic reactions may occur. Fillers should not be used in patients with a history of multiple severe allergies, severe allergies manifested by a history of anaphylaxis, or allergies to gram-positive bacterial proteins. Allergic reactions may require additional treatment. Drug and Local Anesthetic Reactions: There is the possibility that a systemic reaction could occur from either the local anesthetic or epinephrine used for sensory nerve block anesthesia when tissue filler injections are performed. This would include the possibility of light-headedness, rapid heartbeat (tachycardia), and fainting. Medical treatment of these conditions may be necessary. Antibodies to Fillers: Presence of antibodies to Juvederm® tissue fillers may reduce the effectiveness of this material or produce a reaction in subsequent injections. The health significance of antibodies to Juvederm® tissue fillers is unknown. Accidental Intra-Arterial Injection: It is extremely rare that during the course of injection, fillers could be accidentally injected into arterial structures and produce a blockage of blood flow. This may produce skin necrosis in facial structures or damage blood flow to the eye, resulting in loss of vision. The risk and consequences of accidental intravascular injection of fillers is unknown and not predictable. Scarring: Fillers should not be used in patients with know susceptibility to keloid formation or hypertrophic scarring. The safety of patients has not been studied. Unsatisfactory Result: Filler injections alone may not produce an outcome that meets your expectations for improvement in wrinkles or soft tissue depressions. There is the possibility of a poor or inadequate response from filler injection(s). Additional injections may be necessary. Surgical procedures or other treatments may be recommended in additional to additional treatments. Unknown Risks: The long term effect of Juvederm® Filler beyond one year is unknown. The possibility of additional risk factors or complications attributable to the use of Juvederm® Filler as a soft tissue filler may be discovered. Combination of Procedures: In some situations, Botox® injections or other types of tissue filler materials may be used in addition to Juvederm® Filler in order to specifically treat areas of the face or to enhance the outcome from tissue filler therapy. The effect of other forms of external skin treatments (laser and other light therapies, microdermabrasion, dermabrasion, or chemical peels) on skin that has been treated with Juvederm® Filler is unknown. Pregnancy and Nursing Mothers: Animal reproduction studies have not been performed to determine if Juvederm® Filler could produce fetal harm. It is not known if Juvederm® Filler or its breakdown products can be excreted in human milk. It is not recommended that pregnant women or nursing mothers receive Juvederm® Filler treatments. Drug Interactions: It is not known if Juvederm® Filler reacts with other drugs within the body. Long-Term Effects: Juvederm® Filler injections should not be considered as a permanent treatment for the correction of wrinkles and soft tissue depressions. Over time, the Juvederm® Filler material is slowly absorbed by the body and wrinkles or soft tissue depressions will reappear. Continuing Juvederm® Filler treatment (injections) is necessary in order to maintain the effect of Juvederm® Filler. Subsequent alterations in face and eyelid appearance may occur as the result of aging, weight loss or gain, sun exposure, or other circumstances not related to Juvederm® Filler injections. Future surgery or other treatments may be necessary. Juvederm® Filler injection does not arrest the aging process or produce permanent tightening of the skin or improvement in wrinkles. There are many variable conditions in addition to risk and potential complications that may influence the long-term result of Juvederm® Filler injections. Even though risks and complications occur infrequently, the risks cited are the ones that are particularly associated with Juvederm® Filler injections. Other complications and risks can occur but are even more uncommon. Should complications occur, additional surgery or other treatments may be necessary. The practice of medicine and surgery is not an exact science. Although good results are expected, there is no guarantee or warranty expressed or implied, on the results that may be obtained. Most health insurance companies exclude coverage for cosmetic surgical procedures and treatments or any complications that might occur from the same. 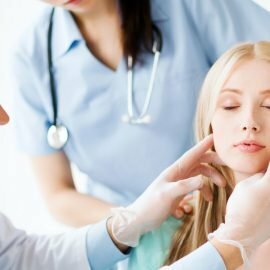 Health insurance companies may not pay for Juvederm® Filler injections used to treat medical conditions. Please carefully review your health insurance subscriber information pamphlet. The cost of filler injection may involve several charges. This includes the professional fee for the injections, follow-up visits to monitor the effectiveness of the treatment, and the cost of the filler material itself. It is unlikely that filler injections to treat cosmetic problems would be covered by your health insurance. The fees charged for this procedure do not include any potential future costs for additional procedures that you elect to have or require in order to revise, optimize, or complete your outcome. Additional costs may occur should complications develop from the injections and will also be your responsibility. In signing the consent for this surgery/procedure, you acknowledge that you have been informed about its risk and consequences and accept responsibility for the clinical decisions that were made along with the financial costs of all future treatments. Informed-consent documents are used to communicate information about the proposed surgical treatment of a disease or condition along with disclosure of risks and alternative forms of treatment(s). The informed-consent process attempts to define principles of risk disclosure that should generally meet the needs of most patients in most circumstances. However, informed-consent documents should not be considered all-inclusive in defining other methods of care and risks encountered. Your plastic surgeon may provide you with additional or different information which is based on all of the facts pertaining to your particular case and the current state of medical knowledge. I recognize that during the course of the procedure and medical treatment or anesthesia, unforeseen conditions may necessitate different procedures than those above. I therefore authorize the above physician and assistants or designees to perform such other procedures that are in the exercise of his or her professional judgment necessary and desirable. The authority granted under this paragraph shall include all conditions that require treatment and are not known to my physician at the time the procedure is begun. For purposes of advancing medical education, I consent to the admittance of observers to the treatment room. I realize that not having the procedure is an option.